Do Cats Like Music? Tunes For Kitties To Get Down To! You are here: Home / Cat Facts & Fun / Do Cats Like Music? Tunes For Kitties To Get Down To! Humans and cats have cohabitated together for an estimated 10,000+ years. But we are only just now beginning to learn more about whether they share our passion for music and if so, which types they prefer! If cats do like music, then how do we find out what kind of music do cats like? 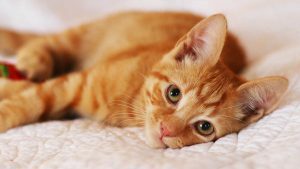 For that matter, can cats hear music the way people hear music, or does it sound quite different to their feline ears? Cats do like music. But their taste is often rather different to ours. There have been some fun studies looking at cats responses to music. From playing our own compositions to bird songs and even purring. Cats can love music, and the reasons why are fascinating. But then again, it also feels quite presumptuous to assume that just because we like rock or classical or country songs, that our cats will like these particular musical styles also! Science has actually studied this exact question. Dedicated researchers have investigated cats and music from the cat’s perspective, seeking to understand what music cats like and why they like it. What these researchers discovered is that there really is music cats love, but it doesn’t sound like our music! How do cats hear music? They can hear sounds both above and below the range of sounds our own ears can detect. Their ears are so keen they can also hear better than most dogs. For instance, the human ear can typically perceive sounds in a frequency range up to 20,000 vibrations/second. Cats, on the other hand, can hear sounds at 60,000+ vibrations/second. But human ears and cat ears do share two things in common. Like our human ears, cat ears have three parts: an outer, a middle and an inner ear. And like our own ears, cat ears are used for both hearing and to help maintain balance. So your cat’s ears also play a huge part in taking those impossibly high leaps and finding their balance on the most precarious of perches. Given the difference in the sonic range between what our ears can hear and what a cat’s ears can hear, it probably won’t be surprising to learn that human music sounds quite different to cat ears than it does to human ears! This, of course, is because human music is created to cater to the main frequency ranges that humans use to speak and to listen. As it turns out, this is probably the main reason why we like “our” human music. It correlates precisely to what our ears are naturally attuned to and prefer hearing! Before we ever realized that the sonic range and sound patterns might influence a cat’s appreciation of music, researchers were already learning this about our closest cousins on this planet – primates. In a 2009 research study, a research psychologist named Charles Snowdon and a composer named David Teie studied the sounds made by cotton-headed tamarin monkeys when they were agitated and when they were calm. Teie then used this research to compose music that mimicked the sound patterns and sonic frequencies the monkeys used in their monkey-to-monkey communications. When the agitated music played, the monkeys became more anxious. When the calm music played, the monkeys become more relaxed. Armed with this knowledge, Teie and his co-collaborator on the monkey music study, Charles Snowden, then turned their attention to how cats hear music. Read on to learn what happened next…..! Up until 2015, we really didn’t know what music do cats like, if any! But in 2015, on the heels of the successful 2009 monkey music study, David Teie once again teamed up with Snowdon and another researcher named Megan Savage. This time, their research focus was to study music for cats. Specifically, the trio wanted to know two things: 1) do cats like music and, 2) if so, what kind of music do cats like? The trio began with the hypothesis that cats, like humans and tamarin monkeys, may naturally gravitate towards familiar sounds. 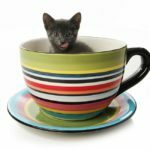 To reproduce musical sounds that might sound familiar to cats, the researchers identified the frequency range of cat purrs and the types of sounds cats might be most acclimated to and familiar with. They also sought the most common tempos when one cat was in communication with another cat. This resulted in some very unique “cat music” – three songs composed by Teie and tested by his two collaborators. Musical influences included cat purrs, bird song, squeaking sounds, nursing and suckling noises. Even sounds from the mother cat’s womb! Is there any human music cats like? 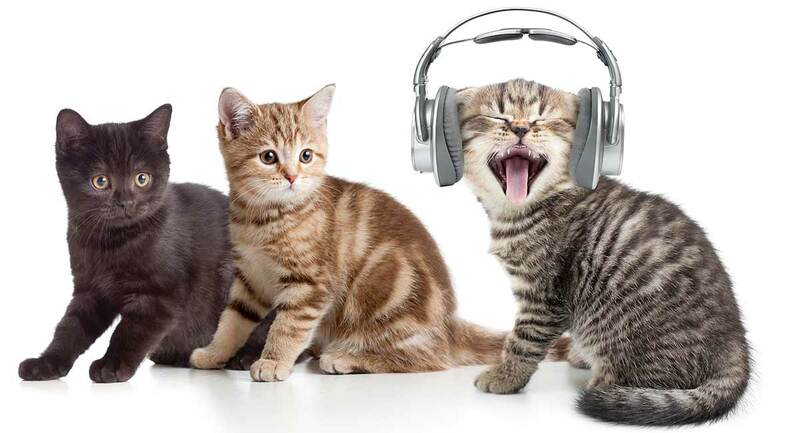 The research team also chose two human songs (both well-known classical songs) to use as comparisons to see if cats responded differently to “cat music” than to people music. 47 pet cats were involved in the music study. Each cat listened to both human songs and then to all three cat songs. As it turned out, the answer to the question “do cats like classical music composed for people?” is a resounding no! But this didn’t mean cats don’t like music! When researchers played Teie’s compositions for the study’s feline participants, there were reactions galore. Where the human music fell on (apparently) deaf ears, Teie’s cat music was definitely met with a variety of unmistakably curious and enthusiastic responses. So do cats like music? They sure do! They just don’t like our music. 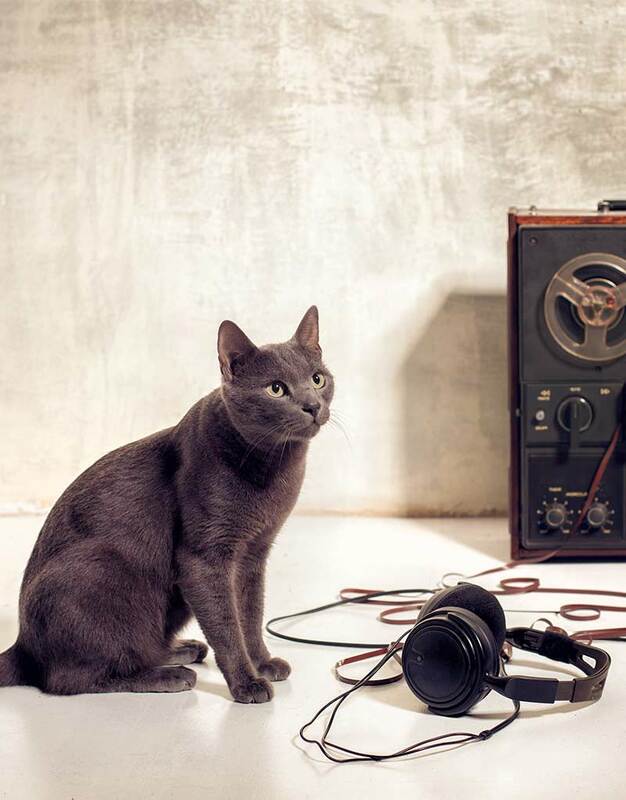 Like so many things in the feline world, cats want their own music to listen to. If you haven’t yet ventured on over to YouTube yet to check out the selection of music made for cats, the good news is you have more to choose from than you might think! Since the study regarding cats’ music preferences just took place a few years ago, much of the music offered “for cats” online is really people music. Of course, thanks to Teie and friends’ cat music research study, we now know that at least 47 pet cats on this planet have zero interest in people music. However, that is not to meant to be taken as a blanket statement that no cats like any people music. In fact, there are a handful of music videos that are made for people but could theoretically appeal greatly to cats as well! For instance, check out this video featuring an hour of classical music paired with continuous cat purring. The channel owner states that they personally use it to fall asleep, but cat owners have posted comments stating it seems to work well as calming cat sleeping music too! And while this video might not technically be considered music to either people or cats, it does feature three hours of pure birdsong (which was a particular influence in Teie’s music as well). Plus, cat owners report that their cats “go crazy” when the birds start chirping. So you may want to give this “birdsong music” a listen with your kitty to see what she thinks! 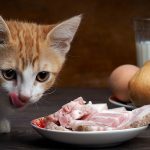 If you do decide to play any these selections for your cat, be prepared to watch for a wide range of possible responses. To hear Teie and his team tell it, cat participants in the research study did everything from purring at the speaker to rubbing up against it, jumping on top of it, curling around it and even scent-marking it! 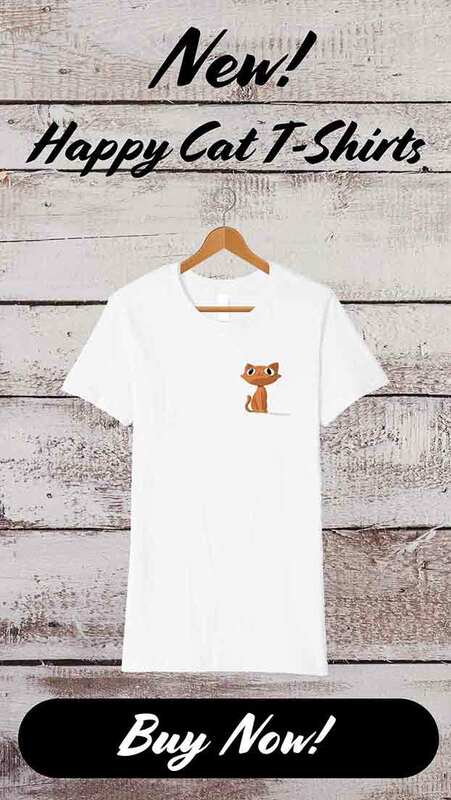 Ever since Teie’s music was made available to the cat-loving public, cat owners have been filming their cat listening to music by Teie and his team. Famous internet cats Olly and Pearl took a listen and Pearl became an instant fan, vocalizing right along with the tunes! Fellow feline celebs Cole and Marmalade also took a listen. 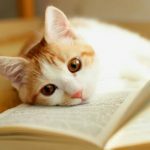 One recent New York Times article reported that Teie particularly suggests using the music for rescued cats who sometimes continue to struggle with anxiety and nervousness after rehoming. The writer tried it out on her own young rescue cat with great results. Teie’s team showed that cats have a noticeable preference for “cat music” over people songs. But this doesn’t always rule out the novelty factor of human music, especially when it is a live concert! For example, take a look at this adorable video of a street busker singing to a group of very attentive kittens! There is also a dedicated cat music channel called Relax My Cat that uses musical instruments and human singers to create therapeutic cat music. Intriguingly, the channel creator states that the Relax My Cat music sounds like classical music for cats to human ears. But to cat ears it references cat purrs, bird calls, nature sounds and similar cat-attractive sonics. You can give it a try with your own feline and see what you each pick up on. The Relax My Cat music is quite different than Teie’s, but our cats’ tastes are as individual as yours and mine. So have fun experimenting with different sounds to see what floats their boat! This is still such a new field of study and it will be exciting to watch it develop further! We have much more to learn about what kinds of music cats and other animals like. It will be exciting to find out how we can use a cat’s love of “their” music to soothe, heal, uplift and add joy and enrichment to their lives! Do your cats like music? What tunes do they like, and how to they react when a piece of music gets their attention? Share your stories in the comments box! Scuiletti, J., “Cats don’t like human music – play them this instead,” PBS, 2015. Clark, L., “Here’s What Music Specially Composed for Your Cat Sounds Like,” Smithsonian, 2015. 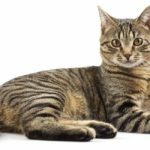 Neer, M., DVM, DACVIM, et al, “Ear Structure and Function in Cats,” Merck Veterinary Manual, 2018. Kornreich, B., DVM, “Feline Ear Disorders,” Cornell University College of Veterinary Medicine, 2018. Snowdon, C., et al, “Cats prefer species-appropriate music,” Applied Animal Behaviour, 2015. Grimm, D., “Ancient Egyptians may have given cats the personality to conquer the world,” Science, 2017. MacDonald, F., “Scientists Have Created the Perfect Music for Cats,” Science Alert, 2018. Langley, L., “Meow Mix – Why Scientists Have Created Music for Cats,” National Geographic, 2015.